These White Chocolate Caramillicans are sent to you in a decorative gift box. 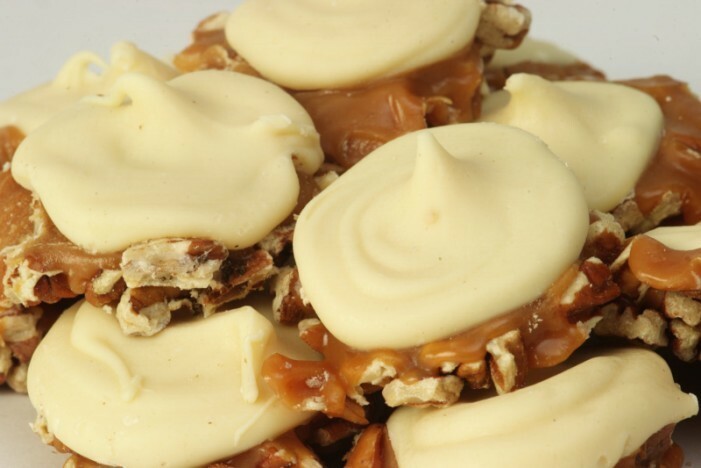 Millican Pecan Co mixes butter and rich caramel with their fancy pecans and top it with white chocolate to create a unique, irresistible treat. Caramillicans: Product was different from website image. Image shows luscious looking fresh product. What arrived was not fresh, somewhat dried out and bland tasting. One item was broken in pieces.